Finding joy in music after a tragedy. She was a force of nature. Terri Grzebielski would sing next to Simba Tirima on stage, along with the rest of the 14 or so members of the Afrobeat band Exceptional Africans, and people couldn't help but watch the 61-year-old often wearing feathers and bright clothing. Tirima would call out a line, Terri would respond. Terri would sway to the rhythms and Tirima says it was like magic. "Terri was a diva and a lover of people," Tirima says. "She had something. She was able to get down deep into her soul and pull it out for the rest of us to see." But last month, the dancing and singing abruptly ended when Grzebielski's son allegedly killed her in her Moscow home. Authorities said he also shot and killed his landlord and an Arby's manager. The close-knit university community was chilled by the killings and the band is still grappling with her loss. Last week, at the downtown live music club John's Alley, an unseasonably warm sun is beaming through the skylight over a high bar table. Tirima has retrieved a burnt-orange guitar from his car to demonstrate what makes his music his own. "There are tensions between these rhythms, which makes it tricky to play," says Tirima of his summery-sounding music. "But anyone with a heartbeat can learn to do this." Tirima says Grzebielski was always supportive of his funky, jazz and reggae-tinged African music. He tried various formations of musicians and went solo for a bit before starting his current band two years ago. Grzebielski began performing with them last year. Before that, Tirima would invite her to come up and sing a couple of songs anyway. One of their favorites was Bob Marley's "No Woman, No Cry." Today, one week before the band's next performance, Tirima is clear: Simba and the Exceptional Africans must continue. Tirima sleeps about four hours a night; if he slept any longer he wouldn't get enough done. In December, he finally completed his Ph.D. in environmental politics from the University of Idaho, realizing a dream he's had since arriving in this country more than 15 years ago. He currently travels to distant countries with TerraGraphics International Foundation, educating doctors and local leaders on environmental toxicology and working to make their communities safer. When at home on his property, just three miles outside of Moscow where he keeps horses and chickens, he'll wake early, eat his instant oatmeal, wash it down with a cup of Kenyan black tea and go jogging for 10 miles. He writes or plays music (his catalog contains nearly 50 originals), keeps up on his nine languages, studies fractal mathematics, works on his second cookbook and always makes time to let loose at the end of the day. Growing up in Maru, Kenya, he questioned everything. Bob Marley moved him. He worked his hair into dreadlocks and got suspended from school. "I developed a sense of justice from this socially conscious music, and also an awareness that there's nothing wrong with blackness, but it doesn't mean it's better," he says. 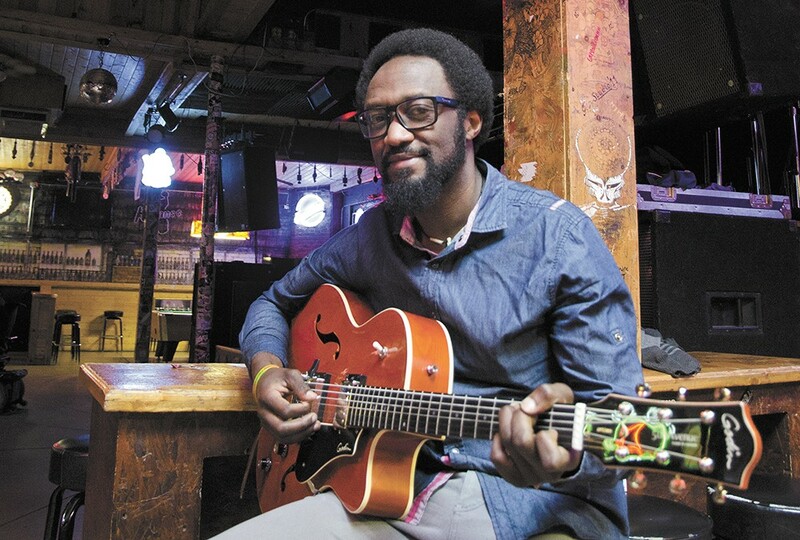 Now living in Idaho, which he considers his second home, on a work visa, Tirima has assembled a group of rock and jazz musicians (on guitar, brass, keys and vocals) from Moscow, Pullman and the Tri-Cities. They rehearse once a week with additional smaller sessions, "because there are too many of us," he says with a laugh. Their shows have a tendency to last for five hours, filled with everything from traditional African covers to calls for social change. "I get all of these musicians together and we speak the same language; it transcends all of these boundaries of what we've been told we are," Tirima explains. "The music that we play, we're not here to impress anybody. It's not 'Come see how skilled I am.' It's a true sharing of what is in us. We play what we feel." This weekend's soul safari of a Simba and the Exceptional Africans performance is dedicated to Grzebielski. The John's Alley show will feature a lone mic stand up front in her honor. "No Woman, No Cry" is on the set list and there may be tears, as there have been in the few performances since her passing.